Christmas Day, LeBron James and the Cleveland Cavaliers take their talents to South Beach, for a battle with LeBron's former team, the Miami Heat. 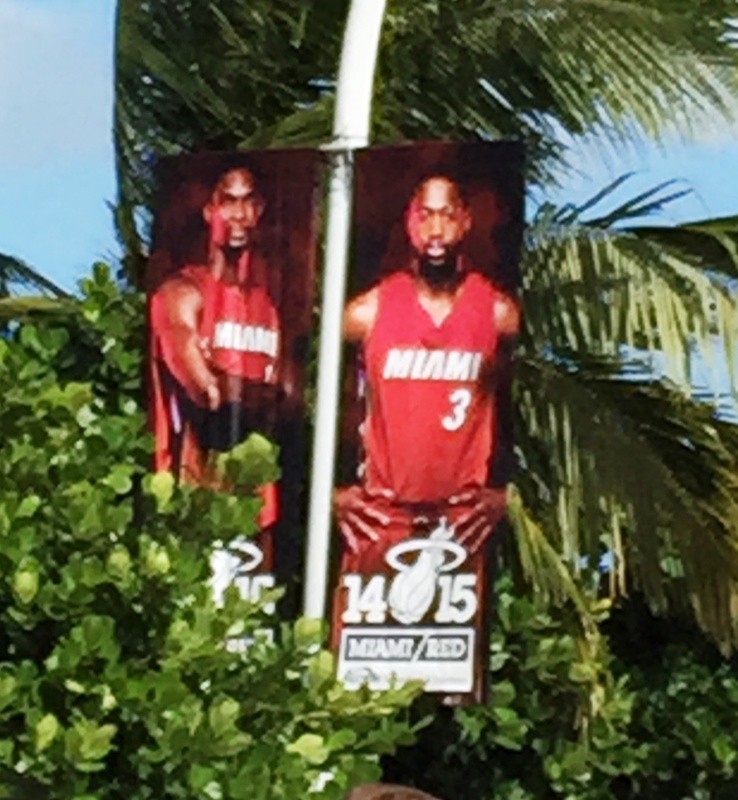 With LeBron's shocking departure from Miami in mind, it is interesting to note the appearance of the banners posted along the exterior of downtown Miami's American Airlines Arena. The above iFolloSports.com original photo prominently displays Chris Bosh and Dwyane Wade, while LeBron is of course conspicuously missing. Not that anyone expects to see LeBron featured in any current or future Heat promotional pieces, but, it is still rather crazy to fathom that after four years of Miami serving as the center of the basketball universe, it is all over and LeBron is back home in Ohio. In this case, a picture really does tell a thousand words.